If Sir Isaac Newton hadn't already said it, any of this year's four recipients of the National Academy of Engineering's Draper Prize might well assert, "If I have seen further, it is by standing on the shoulders of giants." Although few outside of the world of computer research might know who they are, Bob Taylor, Alan Kay, Charles "Chuck" Thacker, and Butler Lampson probably should be household names. These four are this year's winners of the prestigious Draper Prize, which recognizes contributions in engineering. As part of the first "class" of researchers at Xerox's Palo Alto Research Center in California in the 1970s, these technologists were key to the invention of the PC. Today, most of us take PCs, networks, e-mail, laser printers, electronic publishing, and the Internet for granted. But someone had to invent the technologies that are so ubiquitous now. 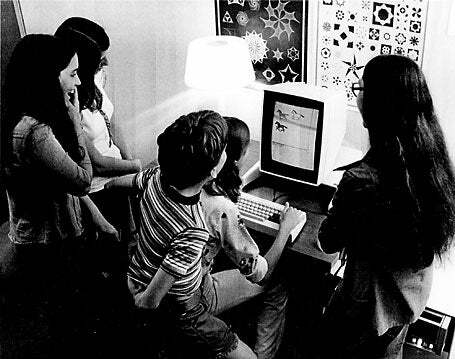 Together at PARC, the four designed and built in 1973 the first device that resembled what we now know as the personal computer. It's pretty much agreed that Taylor was the "impresario" who guided the project, Kay supplied the vision (including laptops and tablet PCs replete with wireless connections), Thacker engineered the computer known later as the Xerox Alto, and Lampson created its operating system. That isn't all. Kay came up with many elements we now consider standard on any window-oriented system: icons, overlapping windows, and the concept of clickable objects on a desktop. Thacker's and Lampson's names appear--with those of two other PARC alumni, Bob Metcalfe and David Boggs--on the patent for the Ethernet networking standard. Another PARC colleague, Gary Starkweather, invented the laser printer, and still another, Charles Simonyi, created the first graphical word processor. Their basic goal was to invent what Apple later commercialized in 1984 with the Mac: "A computer for the rest of us." They also fought longstanding misperceptions that computers were for an elite priesthood of technologists who tended air-conditioned, multithousand-pound behemoths that only governments and big businesses could afford, and that only the dweebiest of dweebs could operate. "The great majority of computing experts, plus the leading computer manufacturers, rejected these ideas as absurd," Taylor says in a prepared statement about his recognition. "A Xerox senior manager once said to me, 'If this is such a good idea, why isn't IBM working on it?'" Thinking like that left Xerox in the dust when established tech firms--like IBM--and new, nimbler competitors--like Apple and Compaq--began producing personal computers that were both affordable and usable for the average person. But the foursome's work was more than that. The founding group of PARC researchers, under Taylor's guidance, envisioned and then invented the "office of the future." Much of what you see today at work and home comes from a four-year burst of creativity by fewer than 100 PARC researchers. The 2004 Draper Prize winners were recognized as the catalysts of that "golden age" of computer research. Even today, all four engineers humbly point to other, earlier innovations and researchers as having laid groundwork for their accomplishments. "At PARC we stood on the shoulders of giants," Lampson says, paraphrasing Newton. For instance, it wasn't PARC (nor Microsoft or Apple) that developed the mouse; that device originated in the mid-1960s at Stanford Research Institute, a still-extant, for-profit think tank in the adjacent town of Menlo Park, California (the same outfit that created those funny numbers printed in magnetic ink at the bottom of your checks, and the computers that process them). And what we now call the Internet began in the 1960s with a project, funded by the Department of Defense's Advanced Research Projects Agency, that was originally named ARPANet. Taylor, who in the 1960s worked for NASA and later for ARPA--which still funds basic research as DARPA (the D stands for Defense)--helped fund both projects. After joining Xerox, Taylor assembled PARC's founding research team, including Kay, Thacker, and Lampson. Taylor retired in 1996. The others continue to envision and innovate. Kay, a Hewlett-Packard Fellow and president of Viewpoints Research Institute, pursues an ongoing interest in childhood education. Perhaps ironically, Lampson and Thacker both now work at Microsoft, as does laser printer inventor Starkweather. Simonyi, who crafted the Bravo graphical word processor at PARC, created Word after moving to Microsoft in 1981; he retired two years ago. Thacker and Lampson also worked on Microsoft's Tablet PC technology. Former colleague Kay originated the idea back at PARC as "the Dynabook," a handheld, lightweight, notebook-size computer that is easily carried and has a flat, writable screen and a wireless connection to the world around it. Sound familiar?